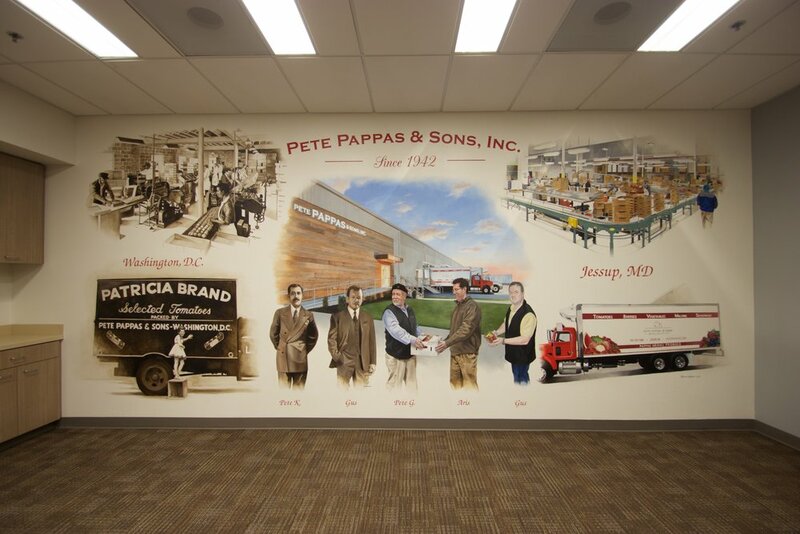 Pete Pappas & Sons, Inc, Jessup Maryland: Mural on canvas and installed depicting the history of the company and the generations of owners. 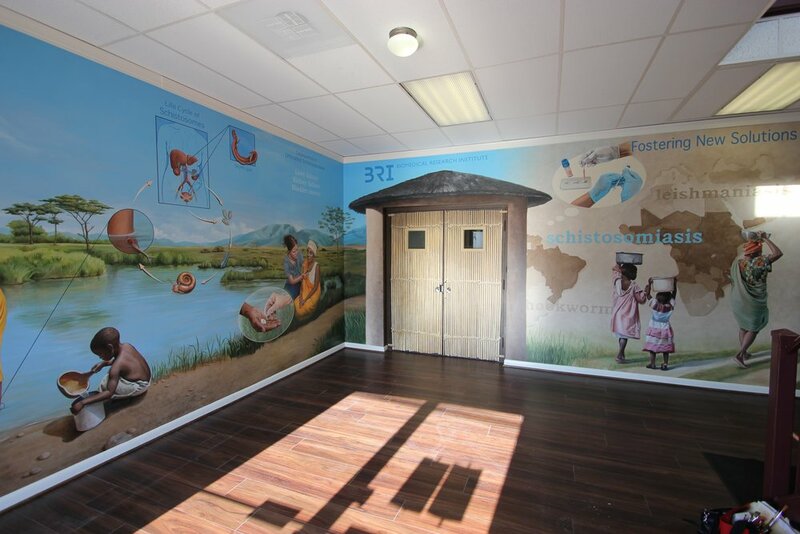 Biomedical Lab Lobby, Rockville Maryland: Lenehan Studios assisted Stacy Olson Sachs of Murals to Life in creating this mural showing the life cycle of a deadly waterborne parasite found in West Africa. 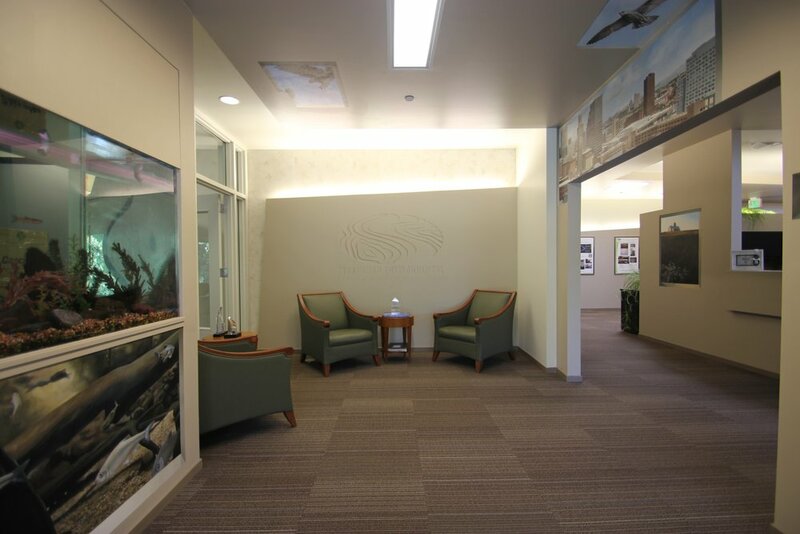 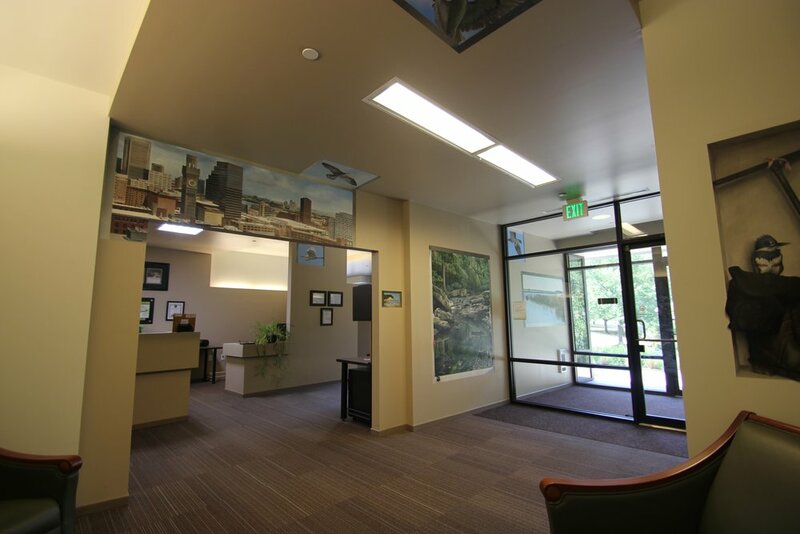 Straughan Environmental Services, Columbia Maryland: Murals in lobby showing iconic scenes of Maryland and trompe l’oeil niches displaying tools used in the field. 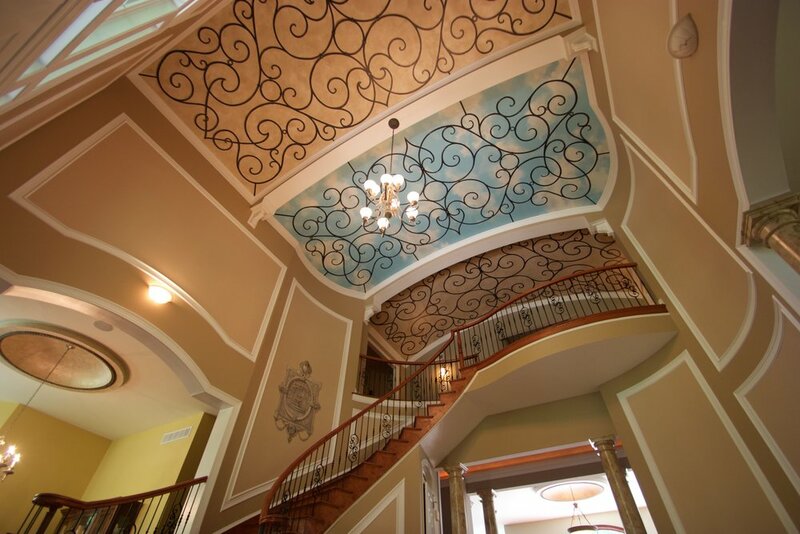 Private Residence: The foyer ceiling was transformed into an iron work grille that opens up to the sky. 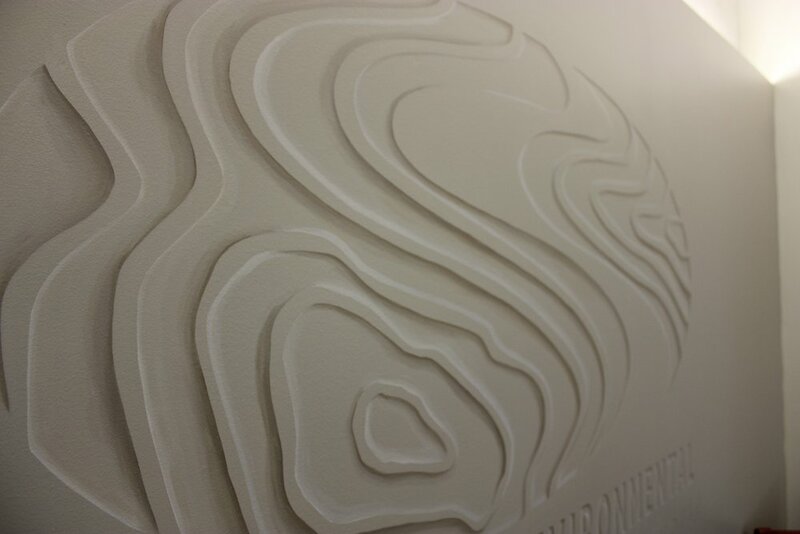 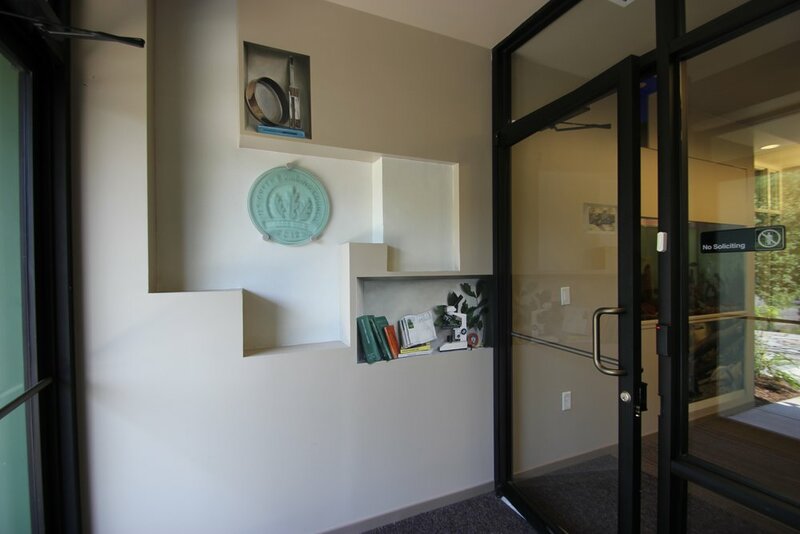 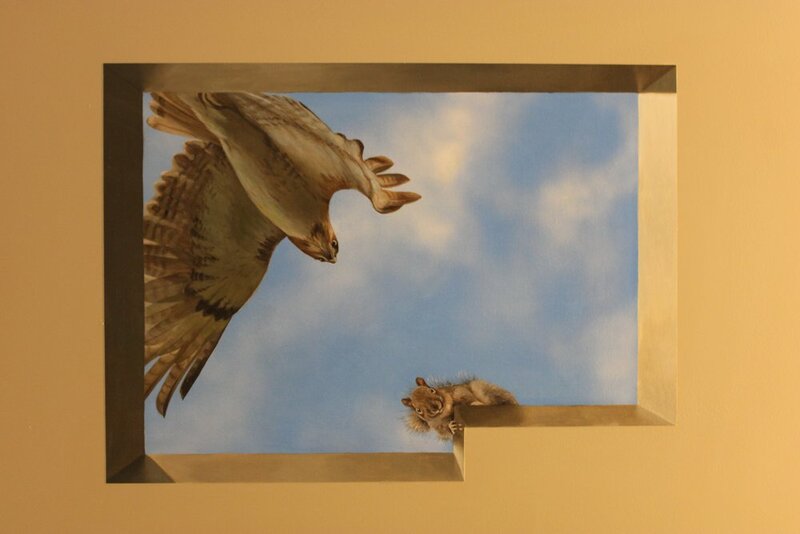 A hand painted trompe l'oeil panel was created on the stairwell. 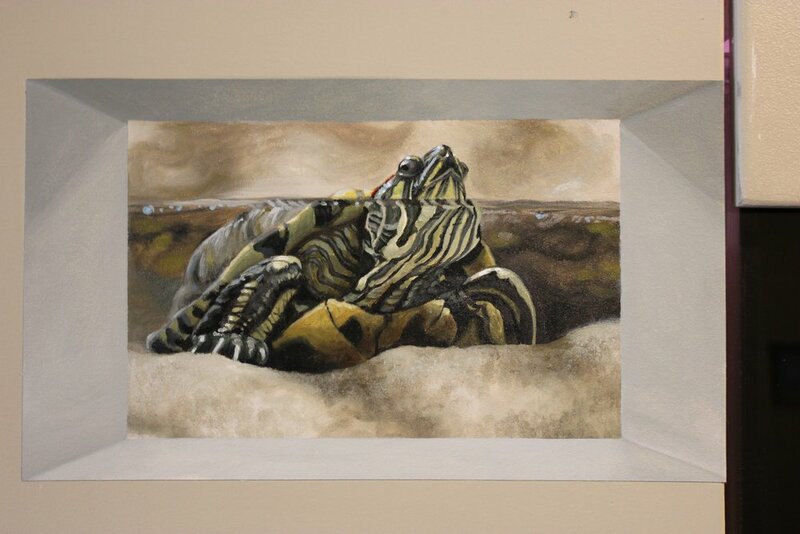 The imagery has special meaning to the family. 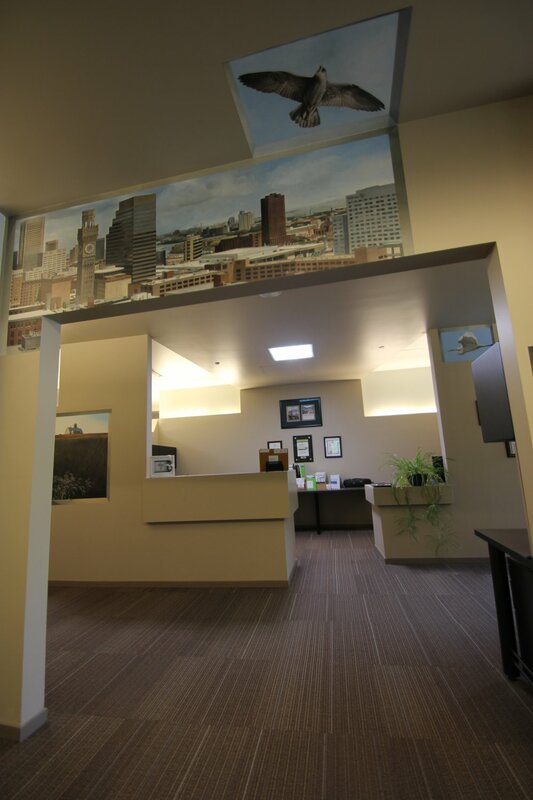 "I have worked with Dee for many years and have always found her creative talent to be unique. 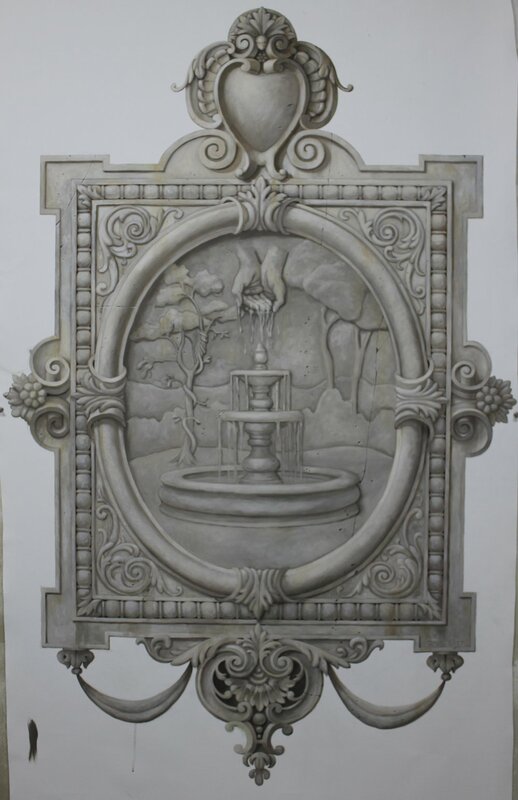 She has truly made my home one of a kind and everything she touched was made more beautiful for it. 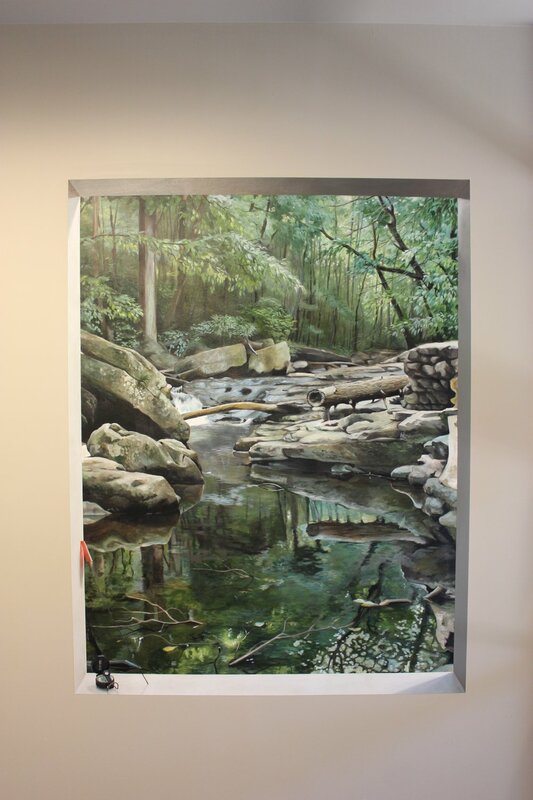 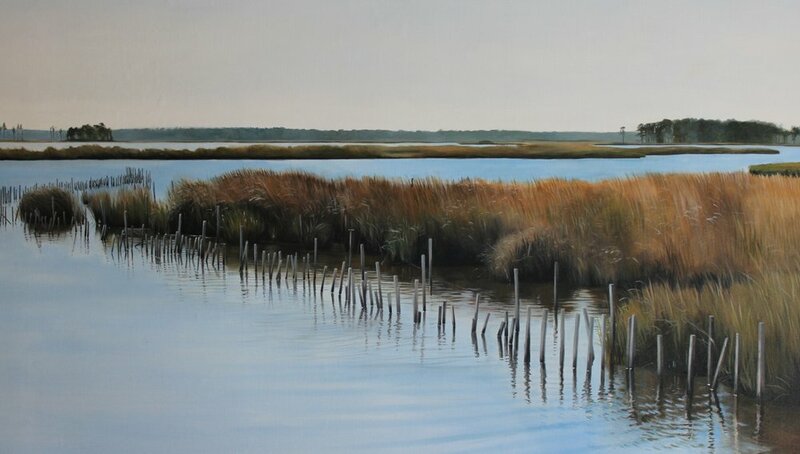 –Carol Brogan"
Visit our SERVICES page to find out more about murals on canvas.